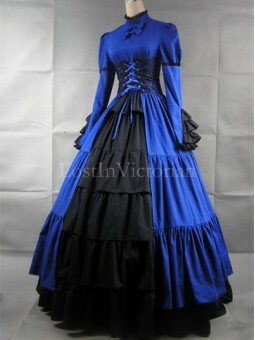 Queen Victoria enjoyed a long reign, spanning 64 years. 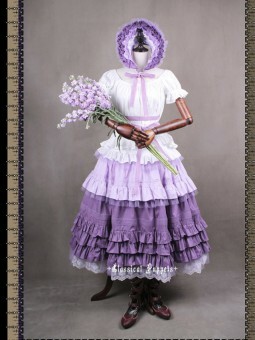 Her fashion influence gradually changed over time, so the end of the era differed markedly from the beginning. 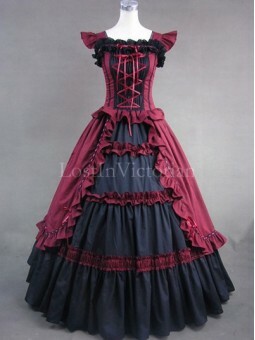 The Victorian Era has several distinct fashion styles, from the early Romantic and Civil War of 1830-1868 to the Bustles from 1869-1889, and then to the 1890s when the women's fashion was simple as compared to the earlier years. 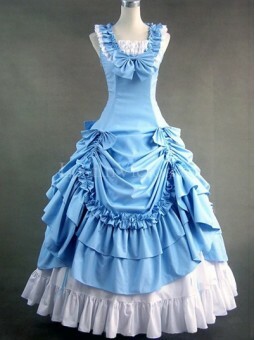 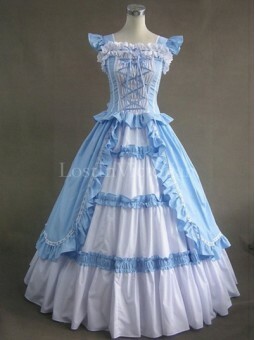 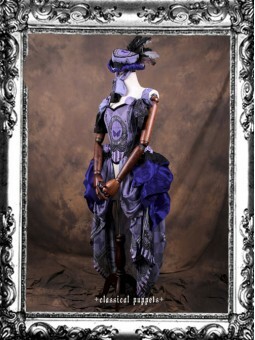 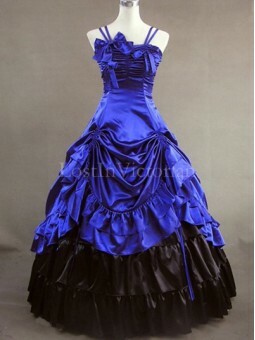 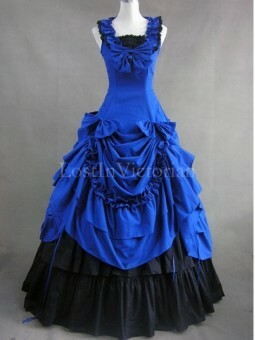 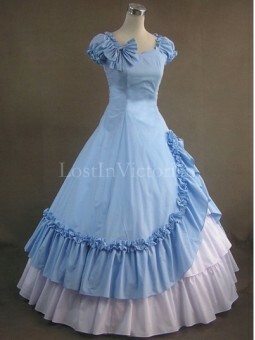 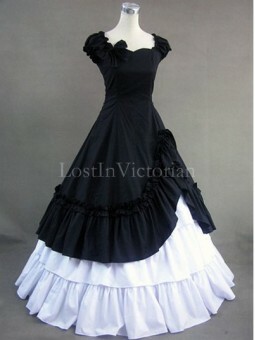 Women did not use bustles and crinoline and wore slimmer, more elongated dresses all of one piece. 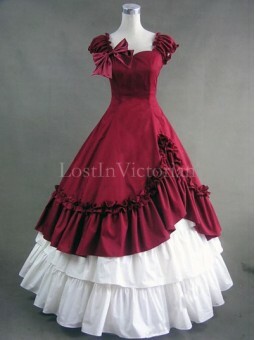 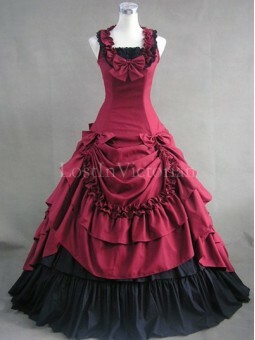 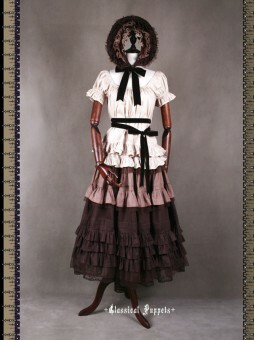 Fabric: CottonShown Color: Burgundy & WhiteIncludes: Overskirt Bodice, UnderskirtThe hoop skirt .. 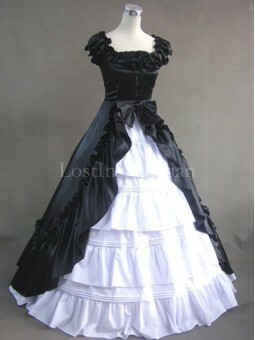 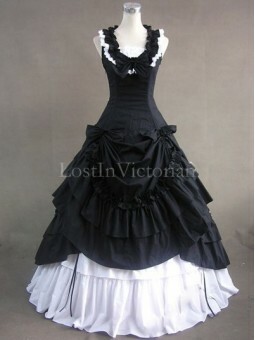 Fabric: Satin, CottonShown Color: Black and WhiteIncludes: Overskirt Bodice, UnderskirtThe hoop skir..